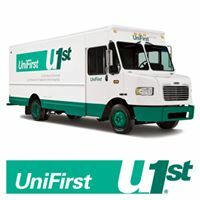 UniFirst, a leading supplier of uniforms, workwear and related products to businesses big and small since 1936, provides a wide range of apparel from traditional uniforms, industrial wear, specialty and protective clothing to corporate casual and executive attire. We also offer floorcare and restroom services products, including a range of mats, mops, soaps, air fresheners, and paper items. Serving Customers throughout the United States and Canada, UniFirst puts more than one and a half million people in work apparel each business day and offers rental, lease, and purchase programs at the very best value.